Minister of Industry, Commerce, Agriculture and Fisheries, Hon. 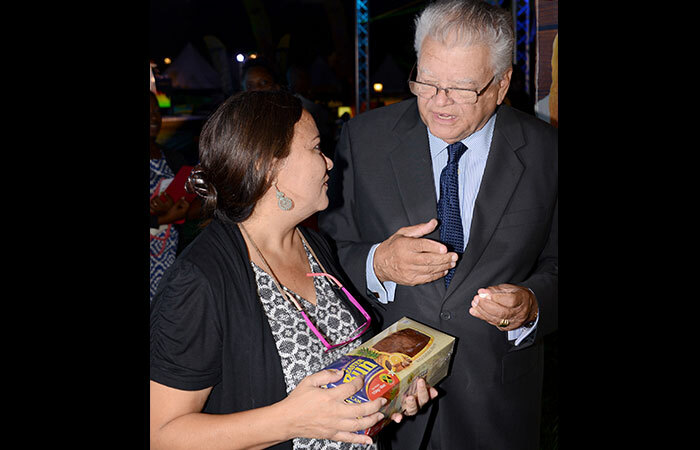 Karl Samuda, speaks with President for the Jamaica Exporters’ Association (JEA), Michelle Chung, during the launch of Expo Jamaica 2016 held on the lawns of Pegasus Hotel on March 10. Minister of Industry, Commerce, Agriculture and Fisheries, Hon. Karl Samuda, said the merger of the Industry portfolio with Agriculture is a strategic move aimed at accelerating business development and job creation. 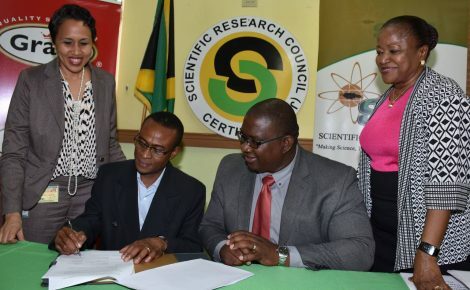 “Get on board; find an interest, utilise the agencies under the Ministry to get the requisite business skill, advice and do research,” he urged, noting that the Ministry will be providing the necessary training and business development support. 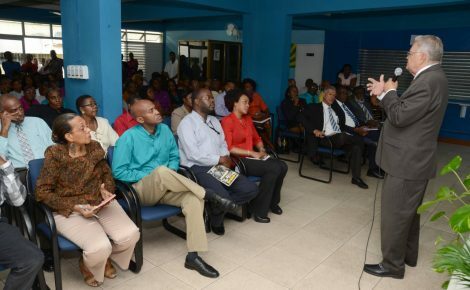 Speaking in an interview with JIS News, Mr. Samuda said the merger will better enable the country to realize the unlimited potential of both sectors. “Agriculture and Fisheries will now benefit from the techniques, resources and expertise of Industry-Commerce and likewise, the raw materials and products from Agriculture-Fisheries will boom new businesses that will create agro industries to earn foreign exchange through export,” he said. He said the merger will open up various business prospects for young people and urge them to prepare to take advantage of the opportunities. “Agriculture and Fisheries are big businesses and pairing them with Industry – Commerce will open many doors. 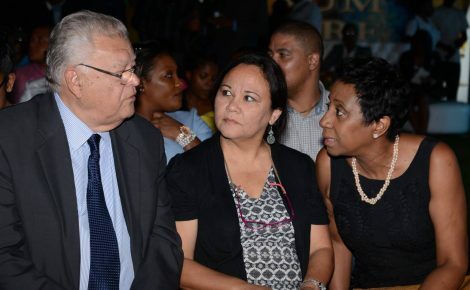 The Ministry of Industry, Commerce, Agriculture and Fisheries is the business Ministry with the keys to…rebuild the production confidence of Jamaicans,” he said.